Either 'P.S. Cumberoona' or 'P.S. 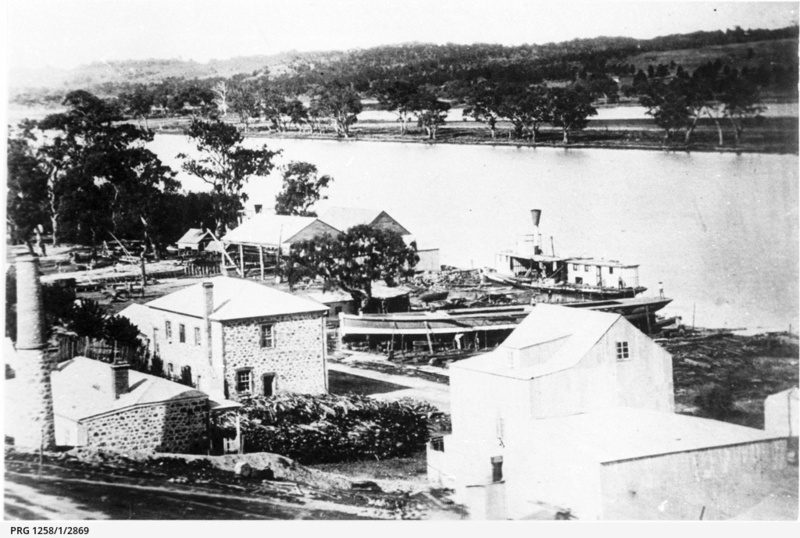 Nil Desperandum' without paddle at Mannum, and 'Paringa' under construction in Mannum Dock, with view of buildings in foreground and river across to opposite bank. This photograph is very similar to PRG 1258/1/720, captioned 'Cumberoona'. Unfortunately, both photoprints have been identified with identical Godson number. Registered at Port Adelaide, 1870, official number 64198. Built at Mannum, 1865, by R. Playfair. (Godson number 96A/8/9).